Are you tired of watching when you watch TV for a long time? To lighten this condition, you can use the light that lights behind the TV. For this purpose you can use the light that turns on when you want to watch TV. On the other hand, if you do not want to get up to do it, use the tape here. Just plug it in the back of the TV to the TV using the USB connector. 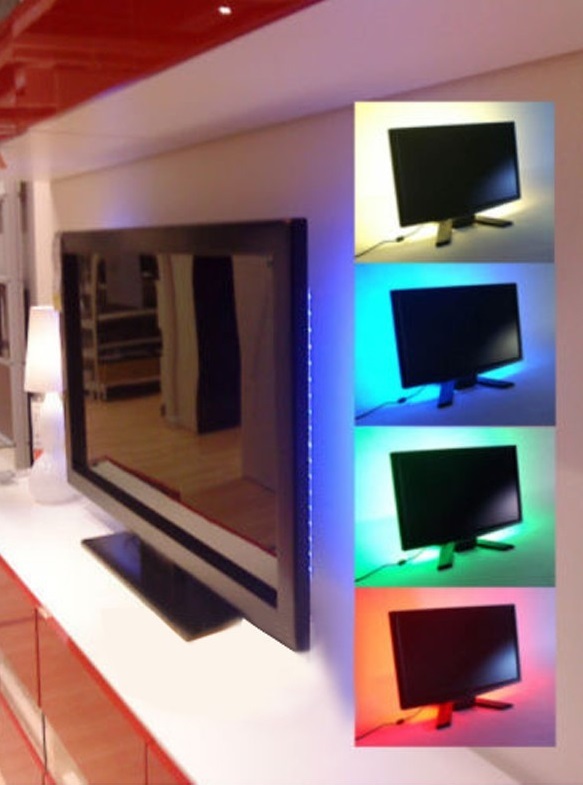 When you start your TV (for example with a remote control), you automatically start up the lighting. Creates an amazing effect. The 5050 SMD LED tapes have another great application. Yellow LEDs only work when inserted into a USB port. Connections can be made to the computer, the TV and the network chargers. Powerbands can also be used to power the tapes. These last power options do not last too long, so it is advisable to go earlier. Yellow tape 30 cm SMD. Praise your friends. LED tapes are great and unique devices.